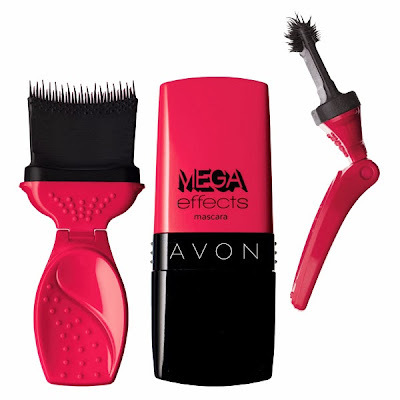 I was flipping through one of my favorite magazines when I caught a glimpse of an advertisement for Avon MEGA Effects Mascara The unique shape of the brush caught my eye, so I decided order a tube and give it a try. 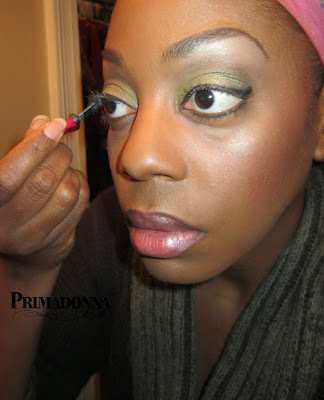 When most mascaras get old you can swirl the brush around in the tube to pick up more product. I am not certain with this design that will be possible because of the way the brush locks inside of the reservoir that holds the mascara. 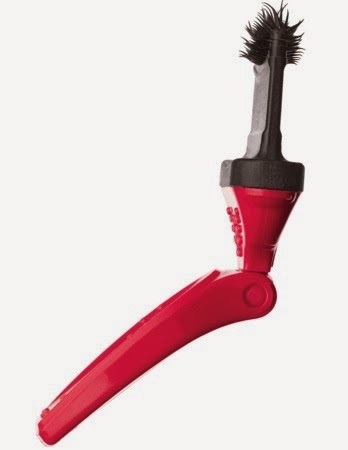 The opening is very narrow and removes any excess mascara off the brush head; great for avoiding clumping in addition to making sure no product is wasted. The Brush/Application: The brush adjusts to help you find the perfect angle to reach every lash. I must admit the brush took some getting used to. On first use it felt like using a large paintbrush. I ended up with dark voluminous lashes and a lot of mascara along my inner lid too! Learning to do my bottom lashes effectively took even more tries than the top, but once I got the hang of it I realized that this outdoes every one of my mascaras in the volume department. I appreciate how the design of the brush allows each lash, even the tiny ones, to be adequately coated with the product so that clump free volume is built quickly. 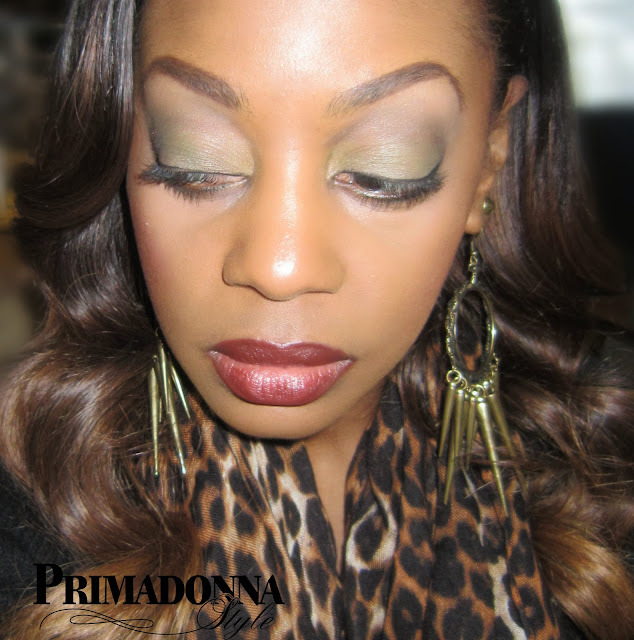 The product glides on smoothly with no clumping. 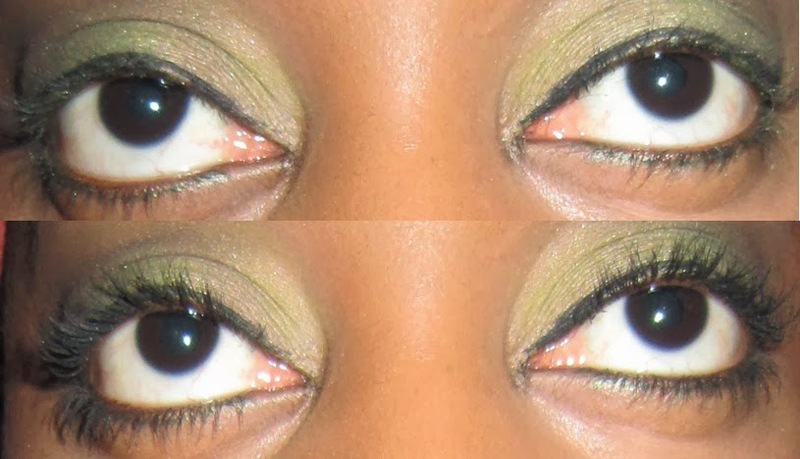 I found two coats on my top lashes and one coat on my bottom lashes to be adequate for my everyday makeup routine. I did not experience any irritation or flaking when wearing this product. The black mascara is very dark. Shape of mascara tube removes excess product. Cons: It takes a few tries to get used to the brush. I'm unsure if a lot of product will be wasted due to the shape of the mascara tube. 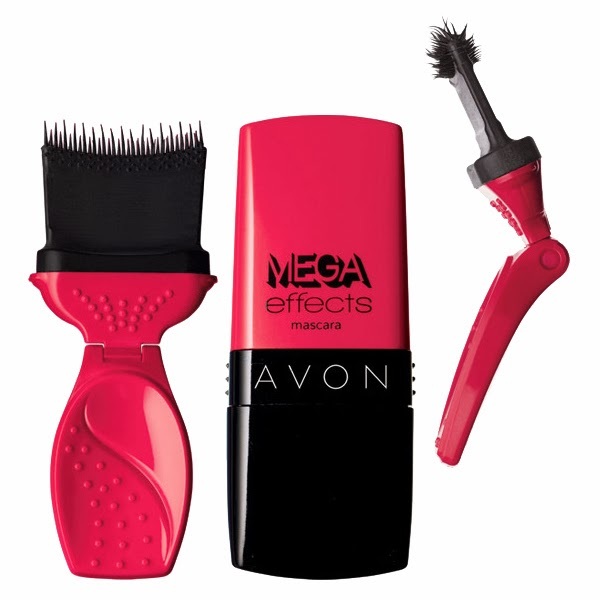 I will definitely purchase Avon MEGA Effects Mascara again. Using it alone produces beautiful results, but you can also alternate coats with a lengthening mascara to produce maximum volume and length. (Primadonna Style Tip: Don't forget to use an eyelash primer like my favorite; Cils Booster XL Mascara Enhancing Base , for even more dramatic results! Disclaimer: The purpose of this review is to offer my objective opinion, so the reader can make an informed decision before buying. Results may vary on all items I review. Please keep in mind I am not liable for any problems that should arise from trying out a product I review here. 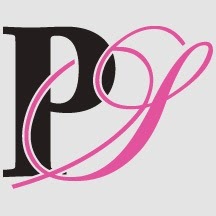 Please use any and all cosmetics or items featured on my blog with caution and safety in mind. All my reviews, opinions, and everything expressed here are my own and based on my experience with a product. I am not affiliated with any of the brands mentioned on my blog. I paid for this product with my own money. Anything discussed on this site is expressed as my own opinion and I reserve the right to my own opinion when discussing cosmetics, or and other products.